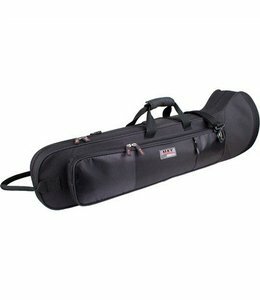 Fits most F- attachment tenor trombone makes and models. Accommodates bells up to 10.5" (26.67cm). Fits even the largest of valves including Thayer valves. Dual-corded handle design with padded handle wrap. 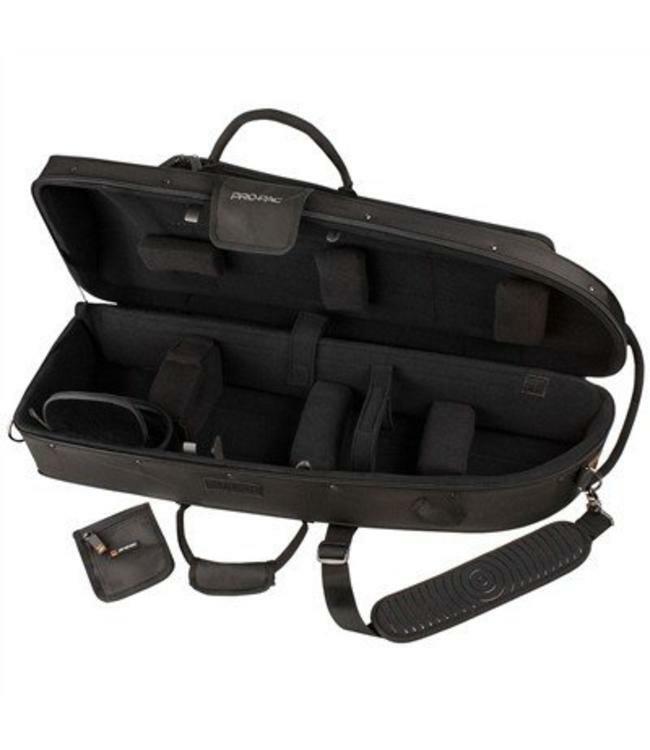 Removable padded shoulder strap featuring an I.D. tag. Backpackable with optional backpack strap (model #BPSTRAP). Compact lightweight shock absorbing wood frame. Weather-resistant 1680 ballistic nylon exterior with reinforced zig-zag stitching. Built-in organizer with two interior sleeves to hold pens, keys, and small accessories. QuickLock™ allows you to securely shut an empty case without zippering. Soft padded nylex lining stitched through the wood frame. 3 modular lid blocks for a customized fit (5 x 2.5 x 1"). 2 modular body section blocks for a customized fit (7 x 2.5 x 2.5"; 5 x 2.5 x 2.5"). Modular bell flair block with secure strap. Modular padded slide wall with secure strap and cleaning rod storage sleeve. Large accessory storage zippered compartment. Double padded mouthpiece pouch with zippered pocket and belt loops. 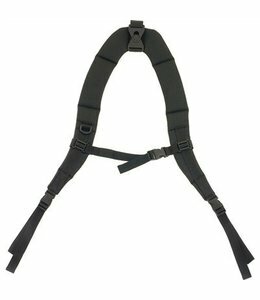 Instrument secure strap provides stability. External Dimensions: 34 x 13 x 12"